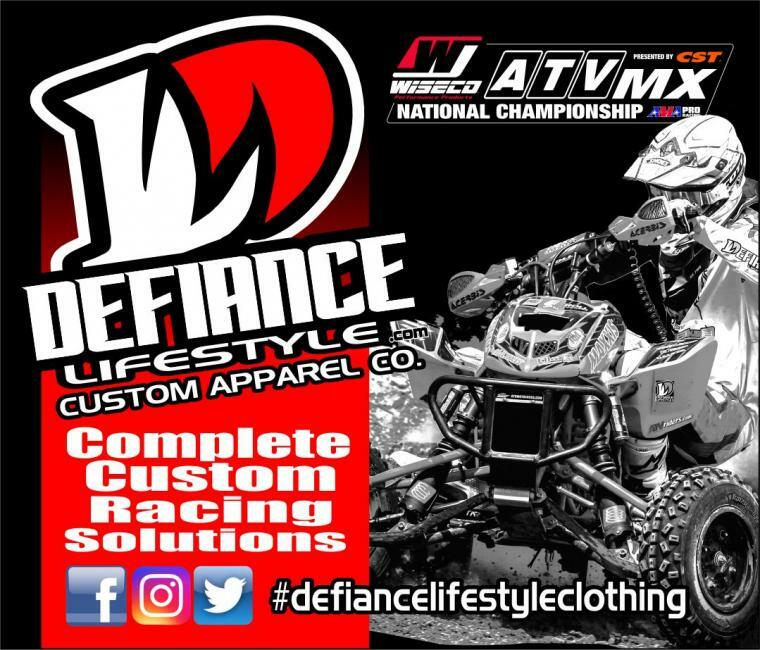 Defiance Lifestyle will be returning once again for 2017 as the Lifestyle Brand of choice for the AMA ATVMX Series as a supporting sponsor. With a goal to develop custom team branding products for racers, Defiance Lifestyle is an ideal fit for looking your best trackside. Defiance Lifestyle will also be providing the apparel for the Safety/Flagging workers to help assist racers to be able to maneuver around any hazards or down riders during competition. Defiance Lifestyle is proud to be focused on Custom Branding products for all racing solutions. When looking for OEM quality, vibrant designs and industry leading pricing don't look any further. 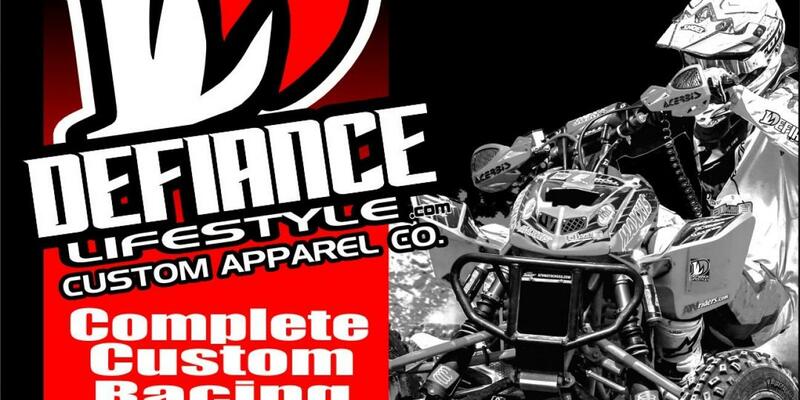 Along with it’s parent company Defiance Lifestyle has over 35 years in the Custom Branding Products industry with a focus on providing services that will stand out to racers and corporate sponsors alike. Working with some of the top industry leading teams and businesses to achieve one of a kind garments that get you noticed is what Defiance Lifestyle is about. From a fully interactive website at defiancelifestyle.com racers and racing fans alike can develop a one of a kind look to appeal to just about any idea you can dream up.